A revitalizing face scrub with Peach Extract, Saffron Flower Extract and Micronized Himalayan Rock Salt. Saffron brightens the skin, diminishing the appearance of dark circles and fine lines. 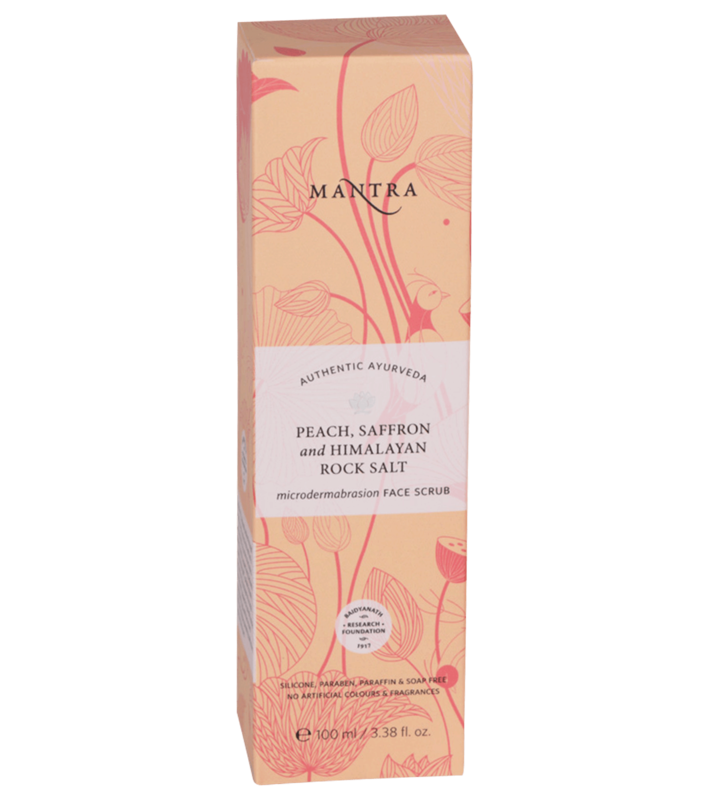 Himalayan Rock Salt helps to remove dead cells & impurities and reduces spots, pimples, face blemishes & other skin imperfections, encouraging the appearance of fresh skin. Peach Extract contains flavonoids – antioxidants, minerals and vitamins which hydrate and revitalize skin. Gently apply scrub to wet face & neck avoiding the eye contour area. Massage gently in a circular motion. Rinse well with cool water. Walnut (Juglans Regia).Saffron (Corcus sativus),Himalayan rock salt,Peach (PRUNUS PERSICA),Aqua, Dermofeel Sensolv (Isoamyl Laurate), Stearic acid, Glycerin, Juglans Regia (Walnut) Shell powder, Lanolin, Micronized Himalayan Rock salt, Sodium Lauroyl Sarcosinate, Cetyl alcohol, Peach extract, Crocus Sativus (Saffron) Flower Extract, Potassium Hydroxide, Sodium Borate, Phenoxyethanol, Potassium Sorbate.